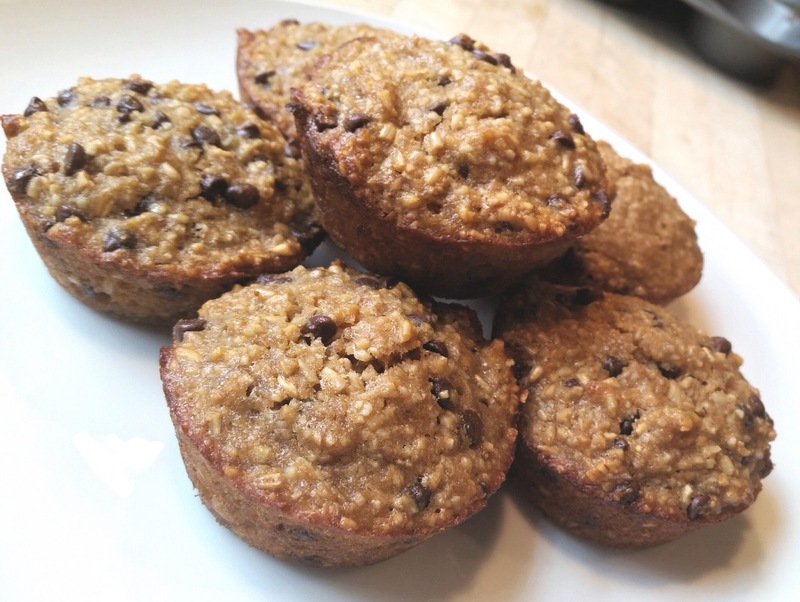 Paleo-ish Banana Chocolate Chip Lactation Muffins | Mommy. Foodie. Athlete. 2. In a large bowl, combine bananas, eggs, and coconut oil until incorporated. Next, stir in the remaining ingredients except for the carob chips. Once fully incorporated, fold in the chips. 3. Spray a muffin tin with coconut oil cooking spray and scoop mixture in. (Will make 10 big muffins or 12 smaller). 4. Bake for 18-20 minutes or until a toothpick comes out clean.